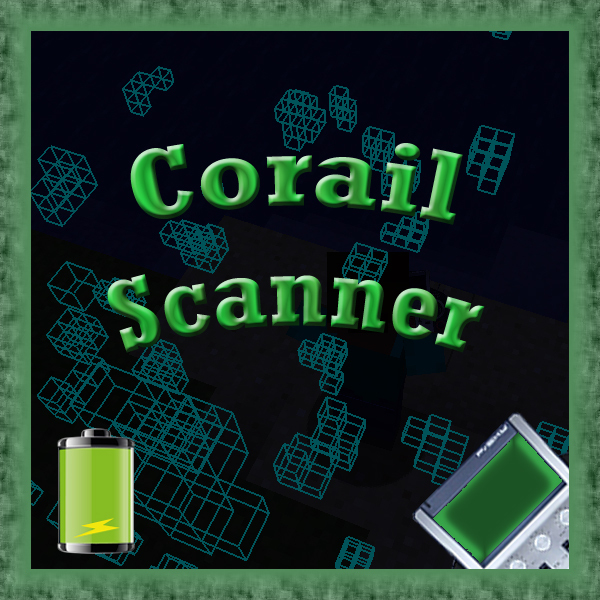 "This mod add a scanner able to find any kind of blocks, with a playfulness to find them." 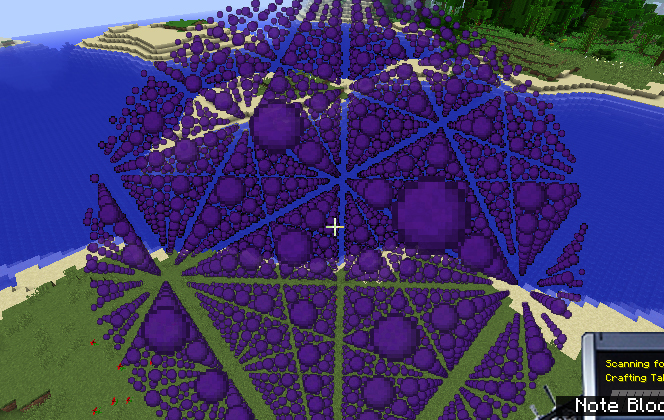 The scan is done in a conic shape (config max : 50 squares range). You can customize the scanner with server config options and a blacklist file(in the config folder) & some client options in game. For details, you can look at how to start. Feel free to contact me to correct any problems. - you can change the target to search, by right-clicking a block while "sneaking"
Looking good! Just one question: Is it possible to use this mod to find underground caves? Is it possible to create unchangeable whitelist? I'd like to have scanner set up for all ores. Or can I choose ore without looking at it? Hi Engineer, this mod is not often updated and probably requires some modifications. You're free to make a commit for it. Hey question. Can we have kinda squarish, minecraftish textures instead? I feel like going for a realistic route is kinda...weird? i could make you some “minecrafty” textures. Hi, I did this gif animation for a Russian site. I'm glad you use it. I think this is an awesome idea, I haven't installed or tried this yet since I'm just compiling a list of mods for a potential pack. After reading the above it appears that you must first find the block in question and scan it. Honestly not a bad principle. But a question arises and a possible suggestion. Does this keep the last item scanned in memory or will I need to scan the item each time I wish to search? Would you be interested in implementing an interface of already scanned resources? This would allow a user to quickly switch between resources once scanned. Does the device scan a distance and require being reactivated by facing other directions or moving past, or away from, the scanned area? Does it highlight target resources or simply indicate proximity in relation to user? I actually think it would be a really neat and immersive use if the device pulsed (The gauge in the images) based on proximity, and allowed the user to walk around while scanning (based on users look direction). Additionally I like the battery pack, but, are their any plans to incorporate any of the already existing power, and recharging, mechanics available? Perhaps a durability mechanic of the battery based on the amount of energy recharged before needing to be replaced all together. Though I don't know of any other mods that use that type of mechanic even though rechargeable batters do sometimes go bad in real life too...but meh, it's just a game lol. Anyways I think this is a great concept and appears to be really well realized, compared to some of the other 'scanner' like mods I have seen. Keep up the great work, you're on to a really solid idea. it remembers the last searched items until changed to another one. I have a question, Does this allow me to set in a 'config' what blocks can be searched for? like if i had a mod and a block was 'mod:sandore' can i go into a config and make it only look for this block? like a whitelist? "There's a config in game to customize some details (for now it discharges very slowly) and a blacklist file in your config folder." I saw this but it confused me a little so im just trying to clarify.